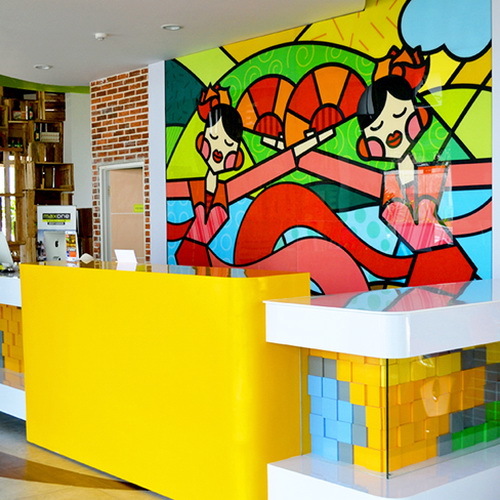 Tinuku ~ Ivanna Cerelia Suryo studio gave graphic decorating touches the wall MaxOne Hotels at Bounty Sukabumi. 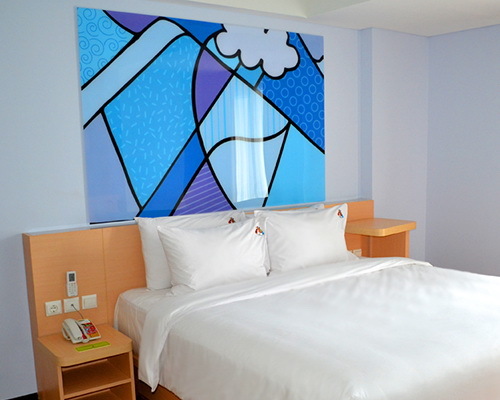 Artistic decoration on the walls give cheerful feel interior room hotel brings anti-mainstream concept. Graphics studio based in Jakarta, Ivanna Cerelia Suryo, presenting illustrations for MaxOne Hotels at Bounty Sukabumi, West Java, Indonesia, who put themselves as stylish budget hotel with full-color illustrations as typical adapt the pop illustration style. 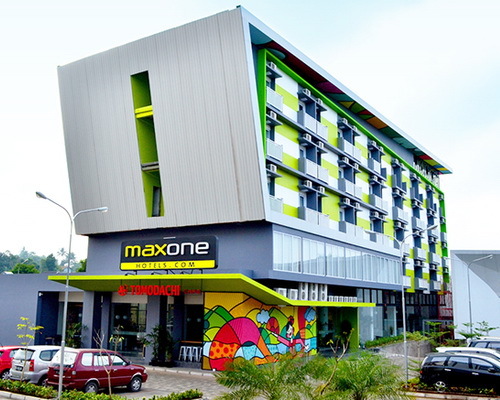 The main theme of Maxone Hotel-Sukabumi decor is Jaipong and Gurilap implemented in Sukabumi town cheerfulness which arise from diverse natural scenery of the mountain, jungle, sea and beach topography. 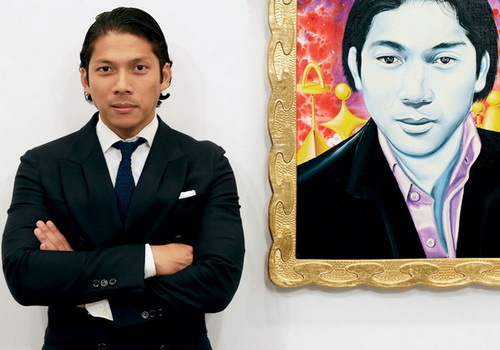 Quite unique hotel concept by applying combination of modern architecture with pop art culture in almost every room. Minimlis asymmetrical design accents present five-storey green leaves stripes on front facade. The pool is oval translucent fill the court room in flower floor. Building area 7000 hectares and total 124 rooms has six categories bedroom facilities such as love, love Max, Warmath, Max Warmath, Happiness and Max Happiness. 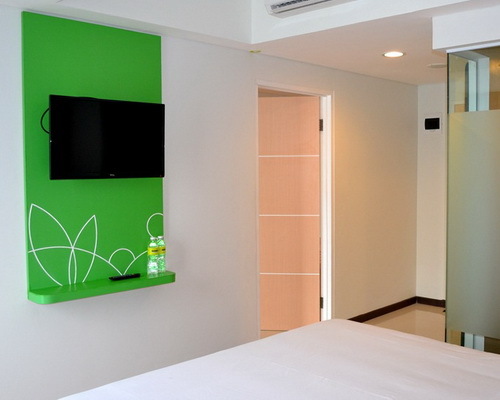 Hotels applying anti-mainstream concept trend in Indonesia. Ivanna Cerelia Suryo studio more often apply the works full of colors as base in contemporary and modern interior decoration concept. A characteristic has been done on almost any project portfolio with graphics, illustrations and murals to fill in the building objects.